No, your accommodation is at your own extra cost and rates will vary depending on which hotel you choose. However, as part of the registration process, the AORTIC 2013 Conference Secretariat will be able to assist you with the accommodation reservation and payment process. What happens if I want to stay in a B&B and not at one of the official conference hotels? You are very welcome to choose not to stay in one of the official conference hotels. Please note however that the AORTIC 2013 Conference Secretariat can only make bookings at the official conference hotels and cannot take responsibility for accommodation booked independently by delegates. What is the correct dress code for the Conference? Smart casual dress for the conference sessions, the Welcome Reception and the Gala Dinner. Please remember to bring a hat for protection against the afternoon sun and a light jacket in case of a cool evening. Where is AORTIC 2013 being held and how do I get there? 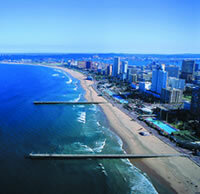 AORTIC 2013 is being held at the state-of-the-art International Convention Centre (ICC) Durban in South Africa. Centrally located and just half an hour from the airport, ICC Durban is also minutes from hotels and beaches. Palm trees form a welcoming avenue while at the entrance to the centre three baobabs, Africa's tree giants, bid a regal greeting. Parking is available on a "pay on foot" basis in the ICC Durban. Any parking expenses are for delegates' own accounts and are not included in registration fees. What are the medical facilities in Durban like? Emergency care is excellent and widely available in Durban with world-class medical specialists, international prescription drugs, cutting-edge technological facilities and a safe blood supply. South Africa has no national health scheme, so it is advisable to purchase travel insurance that will cover medical expenses during the period of your stay. Where do I find a timetable of the conference proceedings? However, you are able to reserve and pay for your accommodation at the official conference hotels through the AORTIC 2013 registration process. Which AORTIC 2013 social events can I attend with my accompanying persons? 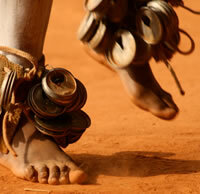 AORTIC 2013 promises an enjoyable social programme for delegates and their accompanying persons. In addition to 2 city tours, and the Opening Ceremony and Welcome Reception, there are day tours and half-day tours can be organised by the AORTIC 2013 Conference Secretariat. What kind of family activities does Durban have to offer? Durban's natural beauty and warm climate is conducive to an active, outdoor lifestyle and typical family activities can include lazy afternoons on some of the world's most beautiful sandy beaches or quiet strolls through the national botanical garden, offering the chance to interact with indigenous wildlife and clean, fresh air. Durban also offers a rich variety of museums, restaurants and shopping centres - some within walking distance from the ICC Durban and the AORTIC 2013 conference hotels. What is the time zone in Durban and South Africa? The only inoculation requirement for visitors is a yellow fever vaccination certificate for those entering South Africa within six days of leaving a yellow fever zone. You cannot get an inoculation upon arrival and your inoculation certificate must be dated at least ten days prior to your arrival in South Africa. Babies of one year old or less are exempt. More information can be found on the website of the Western Cape Provincial Government here or the website of the US Department of State here. Malaria is endemic in some parts of Mpumalanga, Northern Province, and northern KwaZulu-Natal and it is essential to take precautions if you intend to visit these areas. The bilharzia parasite is present in streams, rivers, lakes and dams in some of the northern and eastern parts of the country, and visitors should avoid contact with the water in these regions. There is no immunisation against bilharzia. Please consult your local doctor / travel clinic for further advice. What is the climate like in Durban and South Africa in November? November is the start of summer in Durban, and the climate can be hot, humid and very sunny. Temperatures frequently rise above 30°c / 86°F. Tropical thunderstorms strike on a more or less daily basis, generally during the afternoon. However, they do not usually have a great impact on what are generally lovely sunny days. The electricity supply is 220-240 volts, 50 Hz. The connection for appliances is a round three-pin plug. The wall plugs are not compatible with Europe, the USA or the East; special adapters are available in most airport duty free shops. South African Airways provides passenger aid units at all major airports. Many hotels offer facilities for the disabled, as do most rest camps in the Kruger National Park. Wheelchairs and other aides are available for hire in most cities. The larger rental car agencies can provide vehicles with hand controls. 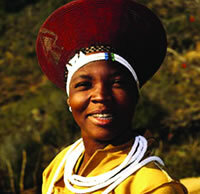 South Africa has 11 official languages and English is spoken throughout the country. French, German and Italian are also spoken at many larger hotels and popular tourist destinations around Durban. Details on how to apply for a South African visa can be found on the website of the South African Department of Home Affairs here. Public transport such as trains and buses are often not reliable and it is better to rent a vehicle from a reputable car-hire company if you wish to travel long distances. The AORTIC 2013 Conference Secretariat will also be arranging pre-booked day tours so that you can experience the beauty of Durban without worrying about securing a vehicle. What are the shopping facilities like in Durban and South Africa? Local manufacturers set a high premium on workmanship, and with a favourable exchange rate, visitors can afford to indulge. Shopping hours in the bigger cities are generally 08h00 to 17h00 on weekdays, 08h00 to 13h00 on Saturdays, and some shops outside of malls are still closed on Sundays. Malls are generally open until 17h00 on Saturday and Sunday. Currently set at 14%, VAT is included in the marked/quoted price of most goods and services. Foreign visitors may claim back VAT paid on items to be taken out of the country when the total value exceeds ZAR 250.00. Information leaflets on the procedure to follow are available from VAT Refund Administration offices at the Johannesburg, Cape Town and Durban International Airports.